My morning smoothie was a repeat of monday’s blueberry, almonds etc as I had made double. Again it was delicious and I still feel pretty comfortably full at 10:30 am after having had it 2 hours ago. Yesterday afternoon about 5:30 I got ravenously hungry so I had a few almonds to snack on which really sorted the hunger out. I would not usually expect some almonds to be so satisfying! Tomorrow I think I shall try a smoothie with cacao nibs and almond butter. Perhaps a little kale to see how it goes. I am already feeling a bit better, less sluggy and less generally exhausted. I slept the sleep of the dead last night and went to bed at 11pm and was not awoken by random lightning storms or mad cats. My troublesome IBS appears to have mainly abated which is nice and I definitely feel more alert. This is only a good thing, I’ve been feeling jetlagged for ages. 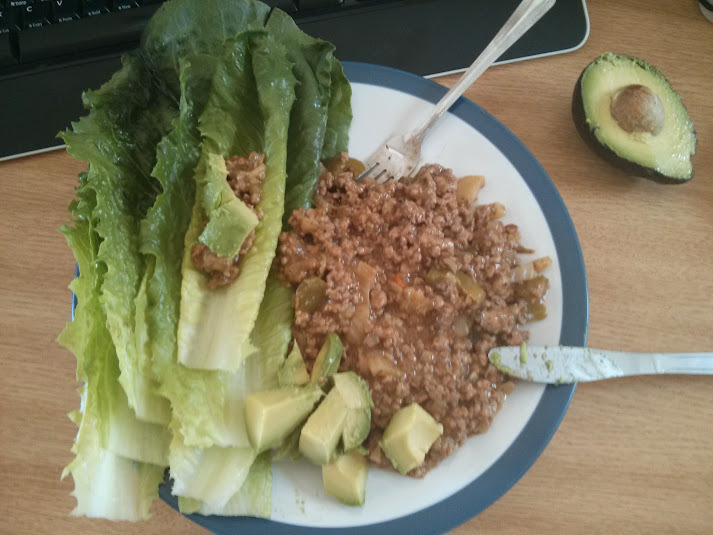 Lunch was turkey chilli with avocado and cos lettuce made into kind of tacos. 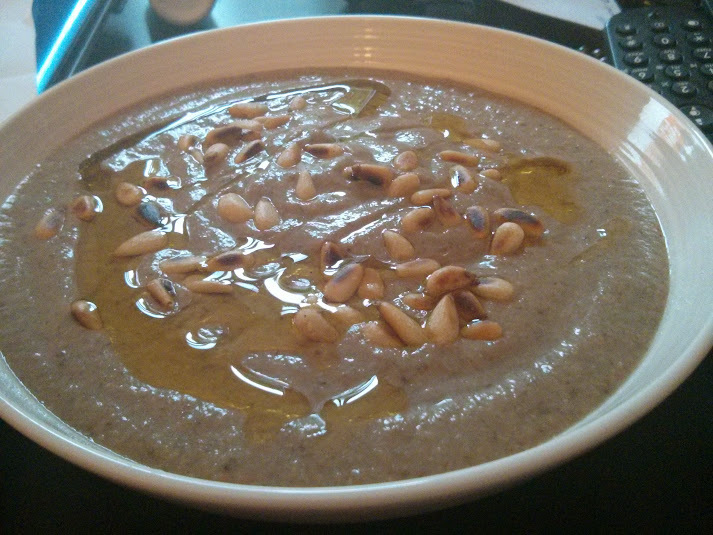 And dinner was a mushroom soup. Which was really sadly, rather rubbish. I didn’t follow a recipe and it all went horribly wrong really. For something with some tasty dried mushrooms in it, it was really quite tasteless. 25 July 2013 in Clean Program, Uncategorized.